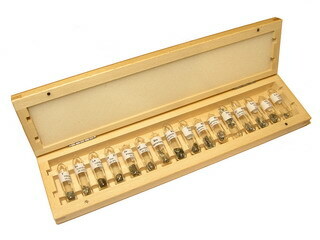 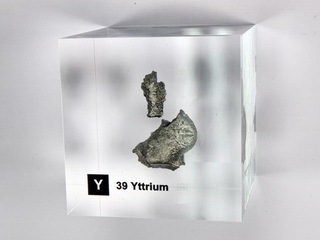 Yttrium was discovered by J. Gadolin in Åbo, Finland, in 1794. 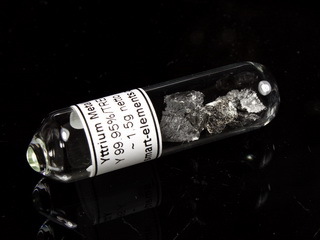 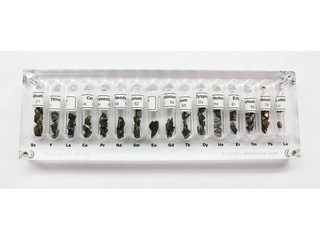 Yttrium is a lanthanide group metal which is found in most rare earth minerals, particularly yttrotantalite which, whilst containing yttrium and tantalum, also contains niobium, cerium, uranium, iron and calcium in varying amounts. 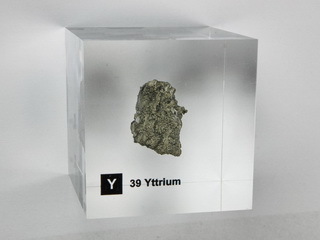 The mineral is found in Ytterby, Sweden, the town which gave its name to several elements. 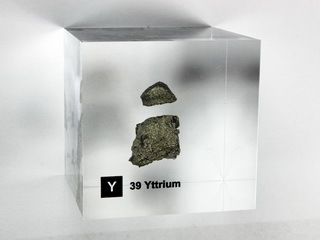 Yttrium has an abundance of 30 ppm in the earth's crust. 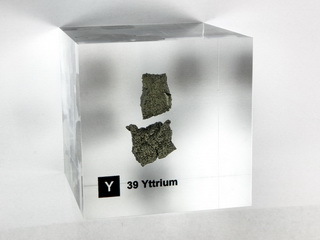 The metal is stable in air due to the formation of an oxide film, but it will burn easily and will react with water to produce hydrogen. 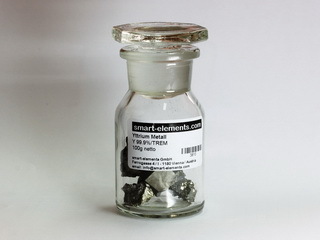 Yttrium is used as yttrium phosphor to produce the red colors on television screens and monitors. 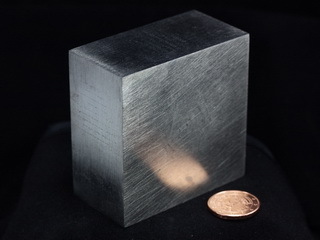 It also finds applications as a constituent of superconductors as well as in X-ray filters and superalloys. 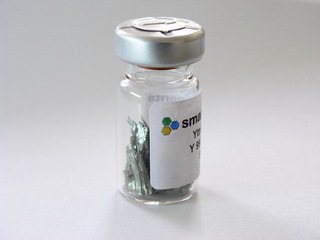 The radioactive isotope, 90Y, can be used as needles to treat pain transmitting nerves in the spinal area.